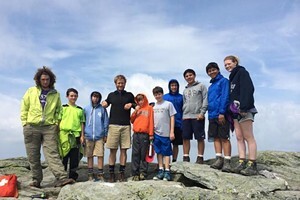 Stories of Survival | Bookworms | Kids VT - small people, big ideas! 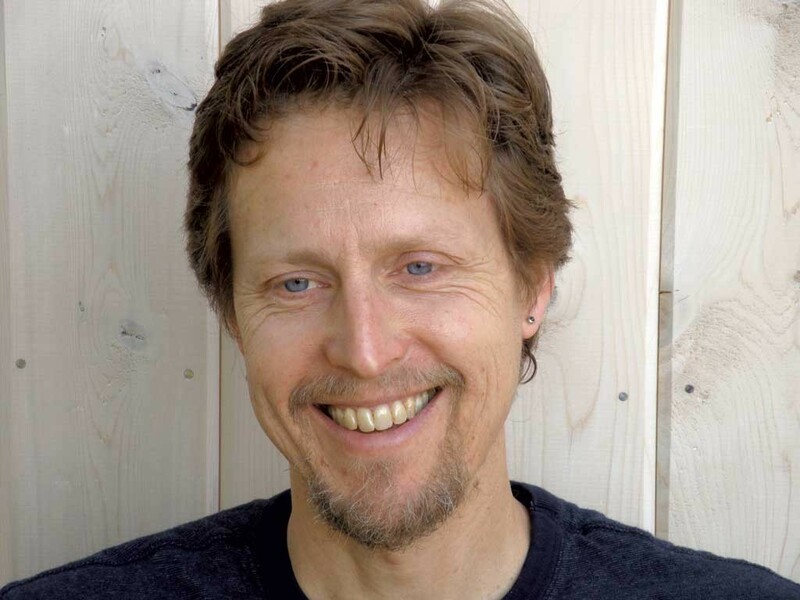 Author Tod Olson traces his career as a children's writer to a book he read when he was 11 years old. While vacationing with his family in Maine, he became riveted by Alive: The Story of the Andes Survivors, Piers Paul Read's nonfiction account of the Uruguayan rugby team's 1972 plane crash (which was later made into a 1993 film). "That reading experience really stuck with me," the author told Kids VT in a phone conversation from his Middlesex home. 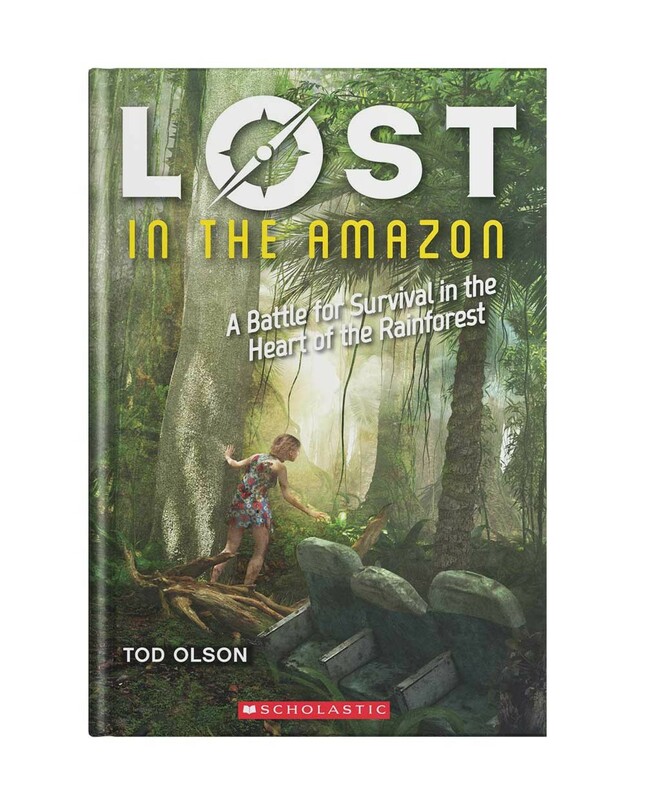 Released in January, Olson's latest book, Lost in the Amazon: A Battle for Survival in the Heart of the Rainforest, is the third in his Lost series. These nonfiction books, geared to 8- to 12-year-olds, retell true survival stories. The first installment, Lost in the Pacific, 1942: Not a Drop To Drink, was nominated for Vermont's prestigious Dorothy Canfield Fisher Book Award for 2017-2018. A fourth book in the series — based on Ernest Shackleton's disastrous expedition to Antarctica when his wooden ship, Endurance, was crushed by pack ice — is scheduled for publication next year. Lost in the Amazon is the story of Juliane Koepcke, the 17-year-old daughter of research zoologists and the sole survivor of a 1971 plane crash in the remote Amazonian jungle. After enduring an estimated two-mile plummet through the sky and lying unconscious for a day and night, Koepcke awoke beneath a row of airplane seats. She had been traveling with her mother, who was nowhere in sight. Completely alone, Koepcke remembered her father's instructions to follow water if she were ever lost in the jungle. That advice, coupled with sheer determination, helped her find her way to safety wearing just a thin sundress and a single sandal. Lost in the Amazon tells the story of the search to discover the fallen plane and Koepcke's arduous 11-day trek out of the jungle. KIDS VT: How did you research this book? Tod Olson: Juliane felt very violated by the press, and I was unable to interview her. I understood that because the press has gotten a lot wrong about her story. I tried to be very conscious of this. In Peru, after the plane went down, the crash was a daily obsession in the news for three weeks. None of that is really translated into English and it is not digitally available, either. I hired a student in Lima who sent me [lots of] newspaper images. I made judicious selections and used Google Translate, which came up with some wildly off things, like, "A plane was snoring." But I was able to make out what I needed, and I hired a translator, too. Missionary agencies played a huge role in the rescue, and those organizations helped me with their recollections, too. KVT: Although she nearly perished in the Amazon, Koepcke became a scientist and an environmentalist who works to protect the rainforest. That seems amazing. TO: Juliane thought of the forest as her protector, not as a threat. I think it's a big reason why she survived in the first place. In part, it was her knowledge of the flora and fauna; she knew to follow the water. She knew to be more afraid of stingrays than jaguars. She also felt at home in the forest. She felt like a part of the ecosystem rather than an interloper. KVT: What was your goal in writing the Lost series? TO: I wanted to write a nonfiction series, not for educators or parents, but for kids. Juliane's story is a dream for a writer because it's both sensational and significant. It's got that Ripley's Believe It or Not! quality, and yet it touches on a complicated history and leads to a really important environmental message. Juliane stuck to the river because it didn't feel threatening to her. And her attitude stands in contrast to so many of the Europeans that preceded her into the Amazon. They treated the forest as a hostile environment and didn't bother to learn how to survive there. As a result, they either brutalized the indigenous population into supporting them, or they died hungry. KVT: You have a 20-year-old daughter and a 16-year-old son. What did they think of having a father who was a writer when they were younger? TO: Since my wife has a job with more regular hours, I worked early and was home in the afternoon. I think that was their first level of experience. Maybe they haven't even read my books. Writing is just what Dad does. Kids sometimes need to keep their parents at arm's length. I think they will read my books later, when they read them to their kids.